Have I mentioned that I watch and listen to a lot of knitting podcasts? One of my favorite video podcasts is The Stockinette Zombies. Megan and Amy knit beautiful projects, and sometime they host knit-alongs. One of their recent knit-alongs was called the Crazy KAL-- basically, giving in to the urge to cast on ridiculous, crazy projects! I participated by starting my Busy Bee Blanket. That fell into the 'crazy' category because a) it's a blanket knitted from sock yarn, b) I didn't actually knit socks at the time, even though this blanket is designed to use up leftover bits of sock yarn, and c) mine is going to be made of more than 600 little knitted hexagons! The lovely ladies of the Stockinette Zombies randomly selected prize winners for the KAL... and I won a prize! 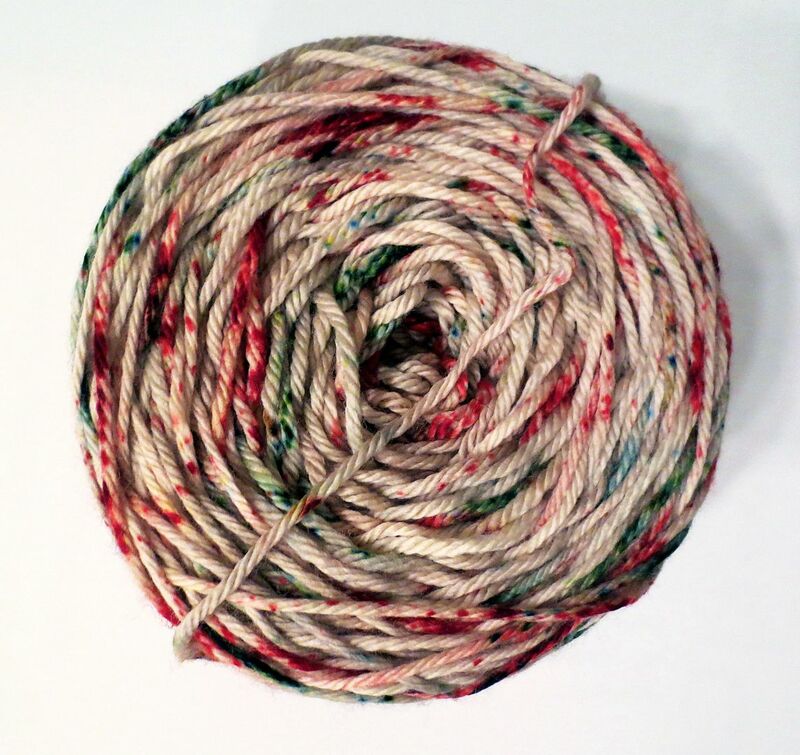 I won a gorgeous skein of worsted weight superwash merino wool by Cakewalk Yarns, in the Peppermint Bark color. It is some of the softest, squishiest yarn I've ever knit with. I knit my lovely prize into a beret. I used the Cabled Rangoli Hat pattern, with a few modifications (all the technical details are on my Ravelry project page.) This was my first cabled hat, and my first project with bobbles! 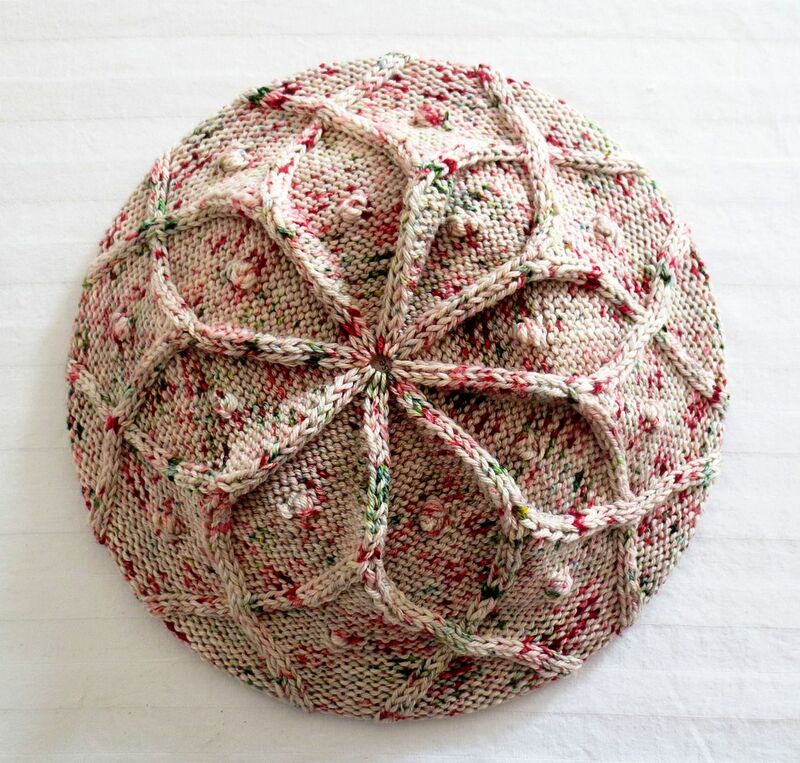 I'm calling this my Peppermint Rose beret after one of my favorite childhood movies, which some kind soul has put on Youtube! I just discovered this and it's taking all my willpower to finish writing this post instead of dropping everything to watch the movie right this second. A movie about a magic garden, starring a bunch of girls with fab hair and ruffly bloomers? You bet I loved it. I can't tell you how many times my family was subjected to it. I brought it home pretty much every time we went to the video store (remember those?). ...Now I'm going to go do something important and grown-up. I'm definitely not about to go watch that movie. I love the Stockinette Zombies too, and that yarn is sooooo pretty, I have seen something very similar from yarn and fiber creating, but can't buy it because of the inflation in shipping rates from the US, that and I have too much yarn anyway! Thank you! Boooo on not being able to get your yarn though- international shipping is through the roof. Ahhh! I watched that show when I was little too!!! It made me so hungry for treats though and my mother didn't keep any sugary things in the house, it was hard sometimes. I can definitely see the Peppermint Rose in that hat. I also think that was a challenging yarn to knit with because of the colorway design, but you certainly pulled it off! Yesssss! I'm so glad it wasn't just me! After rewatching it on Youtube, some of that was pretty scary for a little kid! Those beetle-creatures are super creepy. And gross. 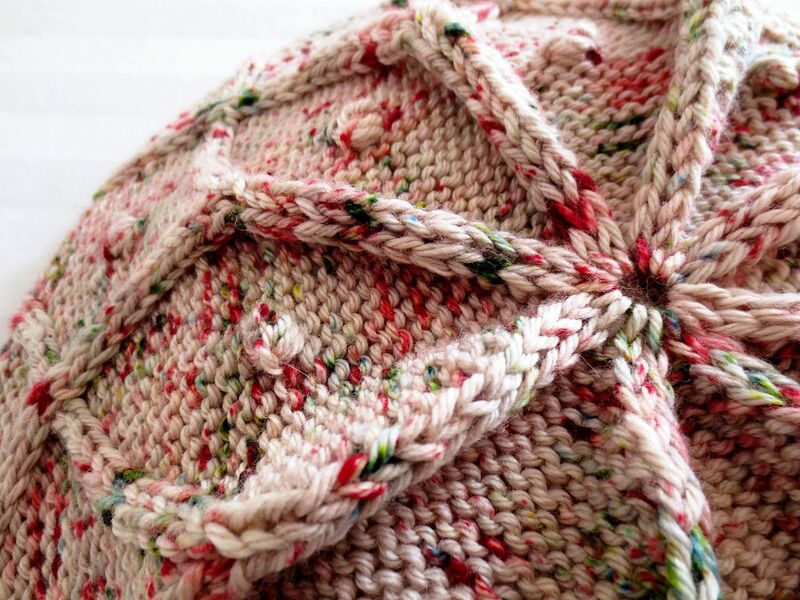 And thank you so much for the compliment on the hat-- I was looking at other projects in the Peppermint Bark colorway on Ravelry, and I liked the ones with some cables and texture the best, so that's what I went for, too! What luck you won the yarn! It is very pretty and the hat pattern you chose shows off the color of the yarn and the cables perfectly! Lovely job! Oh my gosh, I couldn't believe it! I had to rewind the podcast a few times to make sure I was hearing correctly. Thank you so much for the compliments on the hat, it was a fun pattern to knit. Well, here it is 2018 and I just discovered your website. I've never saved a knitting website before (on Pinterest) but I did save yours. So well layed out, welcoming and such an interesting person. I've been knitting since a 12 yr old. Stopped for several years and when I picked it up again, I couldn't believe how much has changed. So much new stuff to learn such as circular needles. So many variegated patterns. Not just baby booties/bonnets, aran sweaters, mitts and gloves etc. but really lovely designs of everything. Even knitting Amagurumi. I will be keeping an eye out for more interesting stories and stuff on your site. It gave me much pleasure.